The majority of bus services in and around Canterbury are operated by Stagecoach Ltd bus company. The Unirider academic year bus ticket allows students to travel all across Kent and East Sussex, day and night. 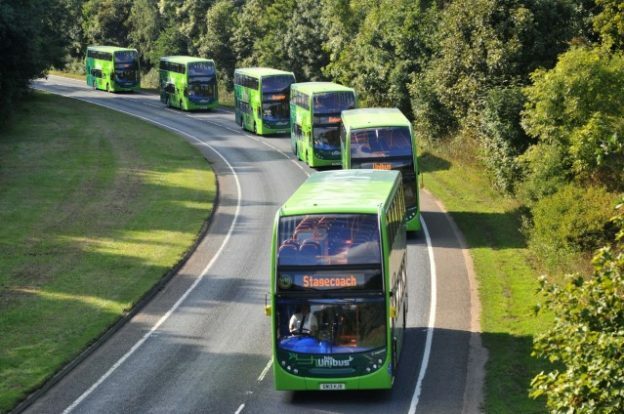 The ticket costs £170 and is available to purchase now from the green Unibus parked on campus outside the Gulbenkian theatre, or online through the Stagecoach website. Explore what East Kent has to offer – historic towns, cities, the countryside and even the beach! Make sure you purchase from the bus or online before the 2 October to get the discounted price. After 2 October the price increases to £240. Visit www.kent.ac.uk/transport/stagecoach for more information. This entry was posted in News and tagged bus, discounts, stagecoach, Unirider on September 21, 2016 by Miriam Sandiford.